Today marks the launch of Windows Phone 7 devices and AT&T has announced that the three devices they will offer to consumers, the HTC Surround, Samsung Focus and LG Quantum will all come equipped with the AT&T U-verse Mobile app. U-verse, an AT&T service with 32.0% growth in IP data revenue and 209,000 new subscribers for a total of 2.5 million overall, according to AT&T’s second quarter results, already has dedicated apps for Android, BlackBerry and iPhone device. The Windows Phone 7 U-verse mobile app allows AT&T wireless customers to download and watch TV programs on their Windows Phone 7 devices, marking the first time that U-verse service is available across the nation. With the addition of Windows Phone 7 devices, U-verse is now available through one’s TV, online, X-box 360, and U-verse TV, U-verse Online, U-verse TV on Xbox 360, and on four mobile platforms. 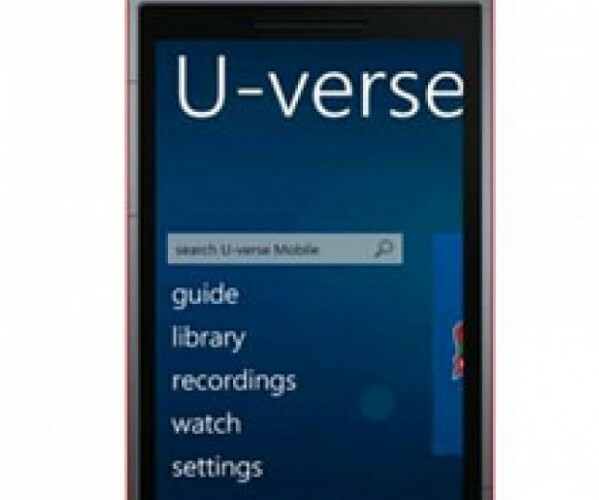 What are your thoughts on U-verse Mobile coming pre-installed on Windows Phone 7 devices? Are you a U-verse Mobile customer at present and if not, will you elect to use the service on your Windows Phone or other device from AT&T?